Folks, in this post you will find out what we've prepared in the long-awaited Netpeak Spider 3.2 update :) We can't wait to share all details but first, let's watch a short video teaser. During the first one, it (as before) works only with HTML: it requests source code, crawls and indexes content, and also adds found links to the crawl queue. If Google did not receive important page content at the first wave, then adding of this content to the index will occur at the second wave with possible delays. Server-side rendering (SSR) – in this case, the search engine receives the full HTML with all important webpage content. 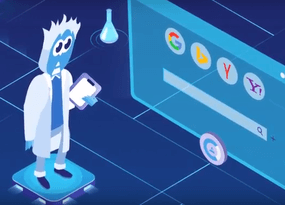 Therefore, Googlebot adds content to the index at the first wave of crawling, and you don't have to worry about possible delays of the second wave. 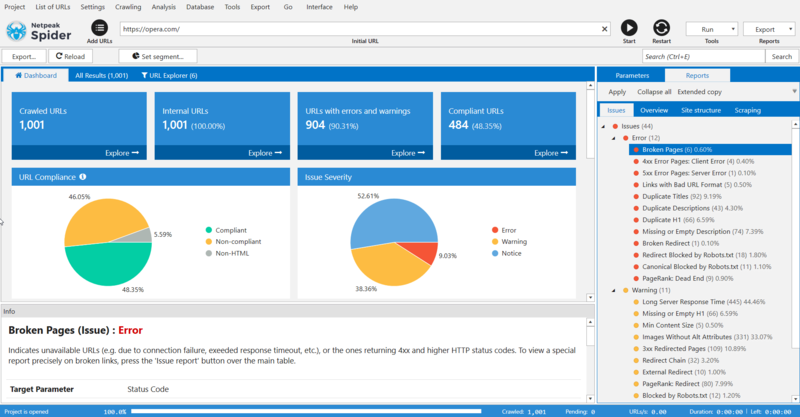 Netpeak Spider executes JS scripts only for HTML pages with a 200 OK response code. It speeds up the program and allows you not to waste resources on the pages that don't need the browser for processing. is limited to 25 threads. So if you set 100 threads in the crawling settings, Netpeak Spider will simultaneously crawl 100 documents in the usual way, however, only 25 compliant HTML pages will be rendered. 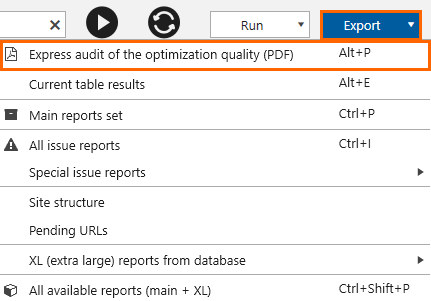 In the new Netpeak Spider version, you can export a report in PDF format in one click with an express audit of the optimization quality based on the crawling results. This feature allows you to get the best of 'two worlds' in Netpeak Spider: the deep analysis and customization of the desktop tool and the results visualization like in the most advanced online products. PDF is a common format that is suitable for printing and can be easily opened on almost any device. The report will only show data found on a site during crawling. Sections and diagrams without data are not displayed. It means that you will not see empty sheets and tables because some issue / parameter was not found during the crawling. The report displays illustrative examples for data analysis, rather than a complete list of relevant URLs. So, when analyzing medium and large sites, you will not have to scroll through dozens of the report pages with hundreds of hard-to-read links. 2.1. Who Will Find This Report Useful? First of all, PDF reports will be useful for SEO specialists. 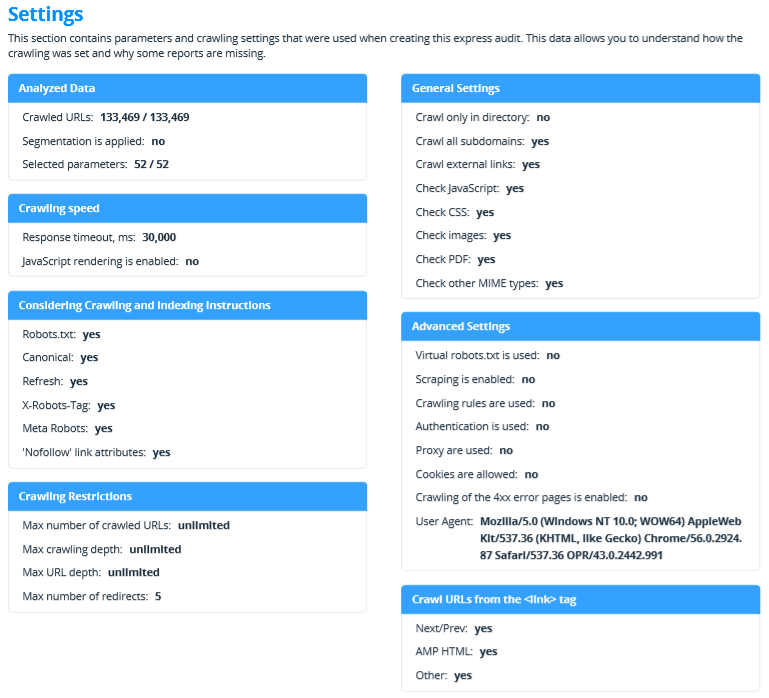 This is an improved and expanded (20+ pages) version of the dashboard, which is convenient for assessing the optimization quality of a project or a list of URLs. The key information for site audit is clearly shown here. It is enough to add your own recommendations and you can send it to a client or colleagues for implementation. If you are a sales specialist, the report contains a brief summary of the site status. It can help you quickly evaluate the project and discuss the scope of work with the client. The report is based on the data from the 'All Results' table, which is directly affected by the settings, parameters, and segmentation. You can test the report by changing different settings. Each section of the report is dedicated to a certain optimization aspect. Let's take a closer look at each of them. If you crawl a website in Netpeak Spider, then the first page will show a screenshot of the initial page and the domain of the crawled resource. So it is easy to distinguish reports for different sites. To ease navigation through the document, there is an anchor link for each section of the content. This section contains a brief overview of crawling results. This is the most succinct report. It allows you to quickly understand what data is being analyzed, and what issues were found. Crawling mode → crawling of a website or a list of URLs. Initial URL. 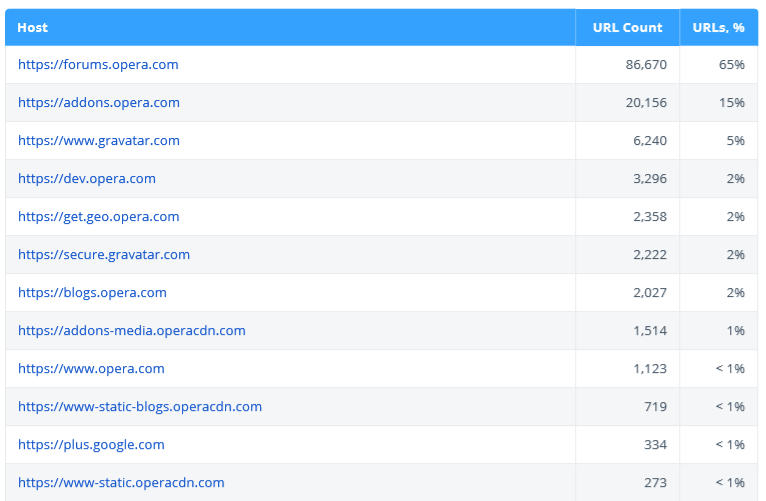 If Netpeak Spider crawls a list of URLs, you'll see the first URL from the list. The number of parameters selected during report generation. The number and types of URLs the current report is based on. 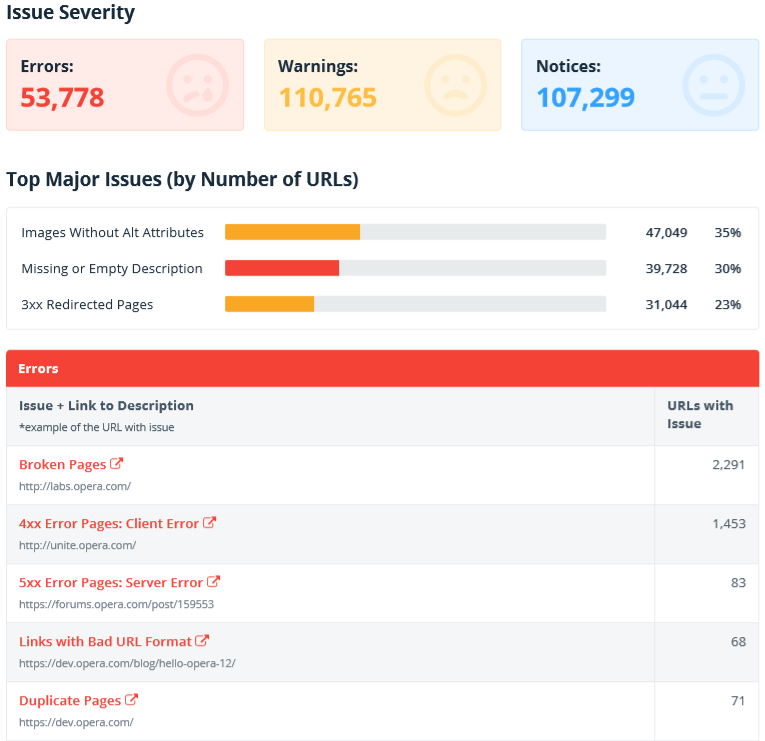 The number of URLs with major issues (errors and warnings). 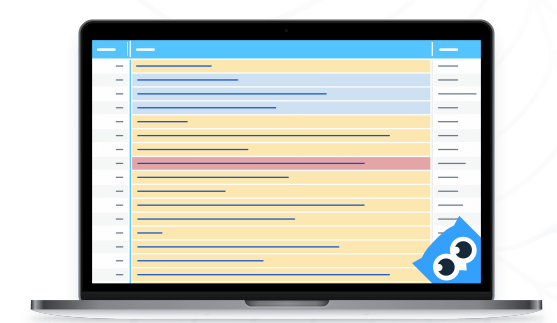 The main types of issues → fresh grouping for even faster understanding of audit results. Content type → separate diagrams for external and internal pages. These reports help evaluate and compare the number of different document types found during crawling. 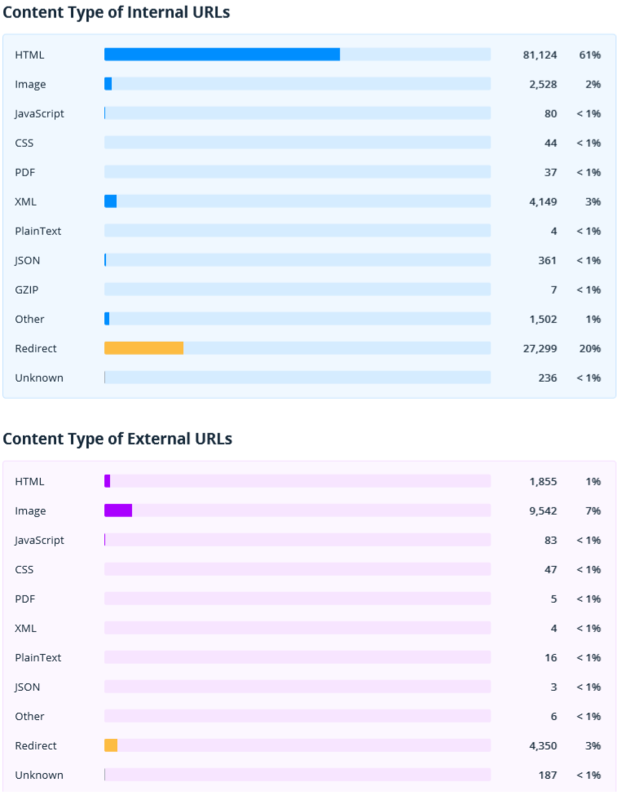 You'll see separate charts for internal and external URLs (here and in other report sections they will be marked in blue and violet accordingly). This table contains main hosts analyzed in the express audit. It may be very handy if your website has a lot of hosts or if you crawl a list of URLs. This report helps to visualize the structure of crawled URLs. It shows the most popular hosts and second-tier segments (e.g. site.com/category/). Note that the table shows only up to 40 segments. You can get a complete site structure in the 'Site structure' report in Netpeak Spider. Also, URLs with redirects are excluded from this report because they are not the final addresses of the pages and it makes no sense to analyze their segments. Also, we've added data about [root documents] – the number of documents in the site root (they do not contain segments). 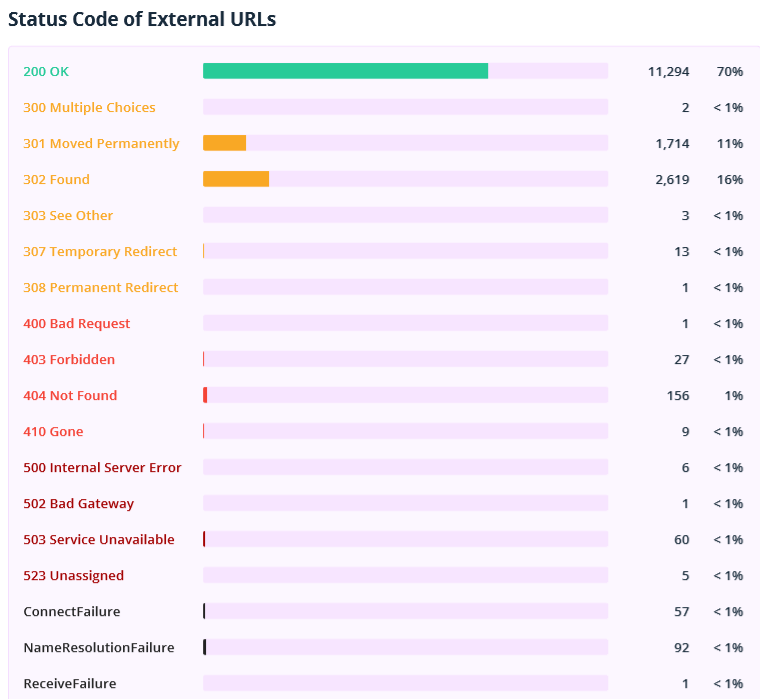 This section shows status codes of internal and external URLs. Pay attention to the unavailable documents, redirects, pages returning 4xx and higher status codes. Export the 'Broken links' and 'Redirects: incoming links and final URLs' reports in Netpeak Spider to get a list of links leading to such pages. 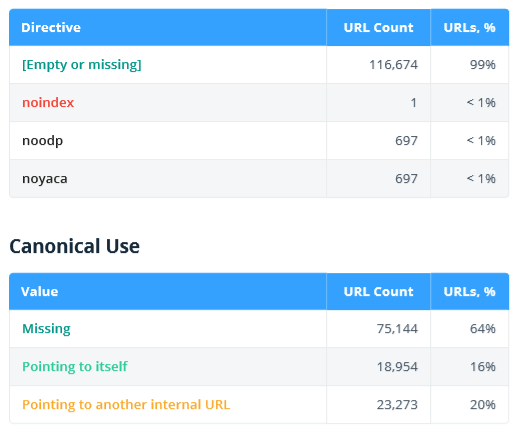 This section shows data on instructions and server settings affecting website crawling and indexing (only internal URLs are analyzed here). Note that non-compliant documents usually don't drive search traffic and even waste crawl budget. 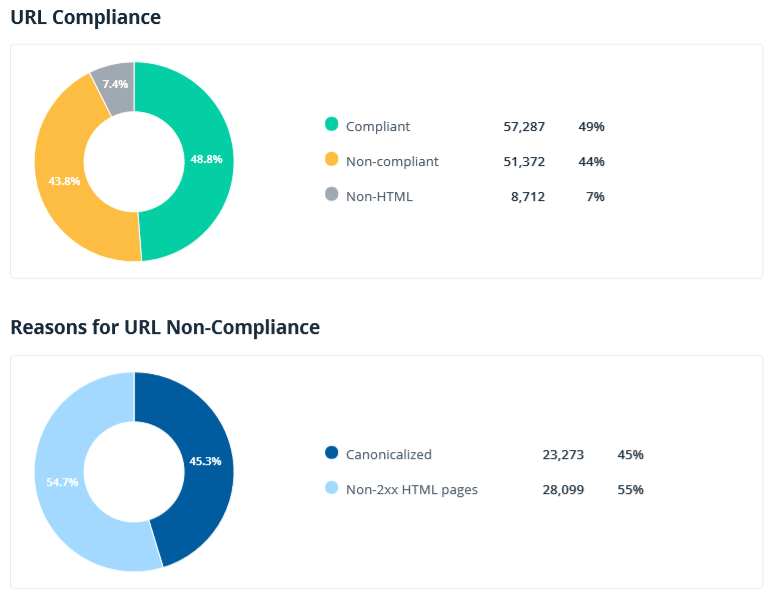 You might be already familiar with the charts on reasons for URL compliance and non-compliance (they are also available on the Netpeak Spider dashboard). 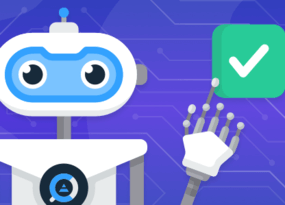 Meta Robots, X-Robots-Tag, and canonical overviews are the new reports that are currently available only in express audit. 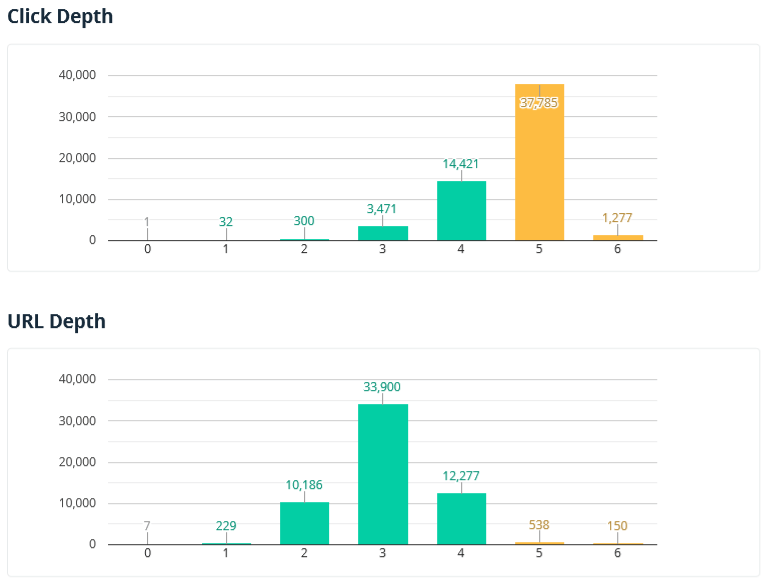 This section shows click depth (the number of clicks from the initial page) and URL depth (the number of segments in a URL). 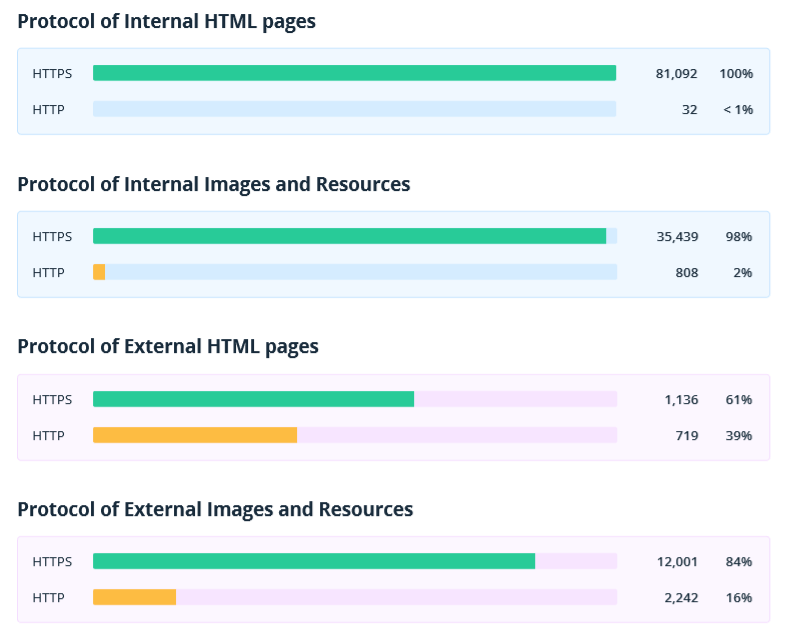 Note that only internal compliant HTML pages are analyzed in this report. The '0' value is assigned to the initial URL or to all URLs added as a list. Pages with click depth over '4' may have indexing issues, thus not drive organic traffic. Page URLs with depth over '4' and/or too long address may be hard to perceive for site visitors. This report helps to evaluate the server response time of internal and external documents. This parameter is a major ranking factor – fast sites usually drive more traffic, have lower bounce rate, and higher conversion rate. 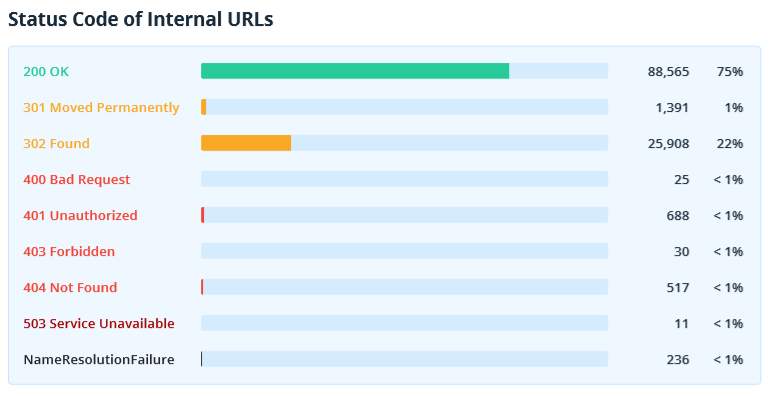 Note that only URLs returning 2xx status code are analyzed in this report. Typically, a server spends more time generating and processing HTML pages, while static files are usually cached and returned faster. That's why we have separated the reports for HTML and non-HTML pages to analyze pages of similar types. Also, internal and external documents are shown separately. First of all, you need to pay attention to internal ones and do everything in your power to make them load quickly. But do not forget about external. If the site refers to an external document that takes a long time to open, it will worsen the user experience. 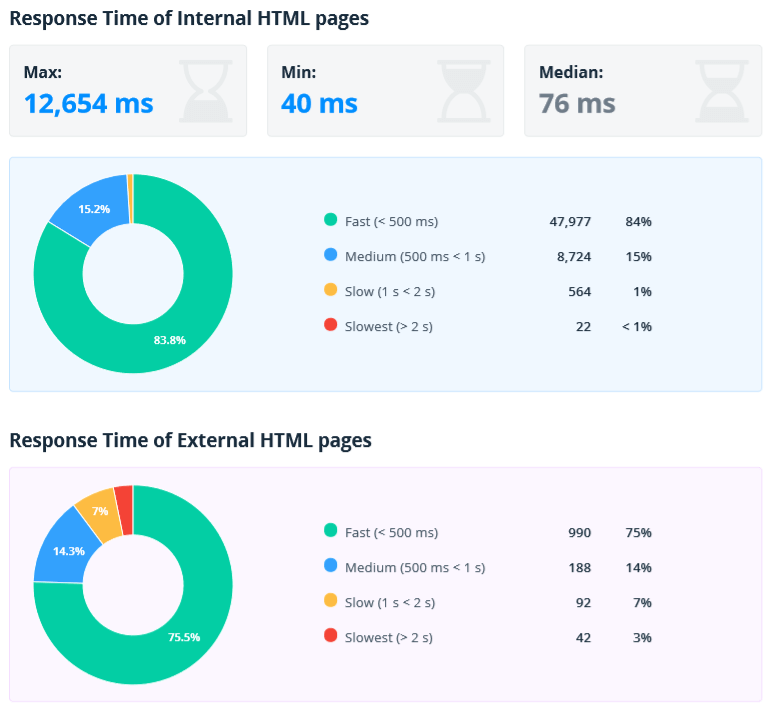 And if external resources (JS, CSS, images, fonts) are loaded to the HTML page, then their load speed directly affects the load speed of an entire page. Additional maximum, minimum, and median values are displayed for internal documents. This will help to quickly assess the variation in load speed. If the server is stable, then the spread should be small. This section contains document protocols: secure (HTTPS), and insecure (HTTP). If websites with HTTPS protocol have HTML pages, images, or resources with HTTP protocol, it may cause the 'Mixed content' issue. In this case users may see a corresponding warning in browser and search engines will consider the site insecure. 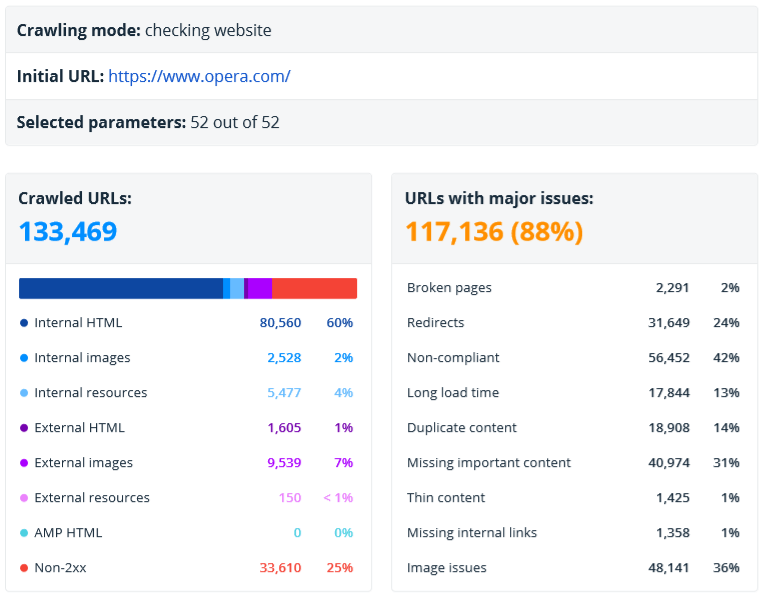 This section analyzes only the internal compliant pages, because the content-related SEO issues should be fixed first of all for the internal pages that potentially drive traffic. We've focused on data that can be a signal for wasted optimization opportunities that can negatively affect ranking and website visibility in SERP. Duplicate and Missing Title, Description, H1 → for both users and search engines, issues with these parameters can indicate poor quality of the site. The number of characters and words on a page → often pages with more text have higher rankings because they cover the topic better. Image size → pictures with a big size load slower and reduce the page load speed. If a page loads for a long time (especially on mobile devices, where the Internet speed is lower), the user may find the site low-quality and leave it. At the end of the express audit you'll find the meaning of some important terms. 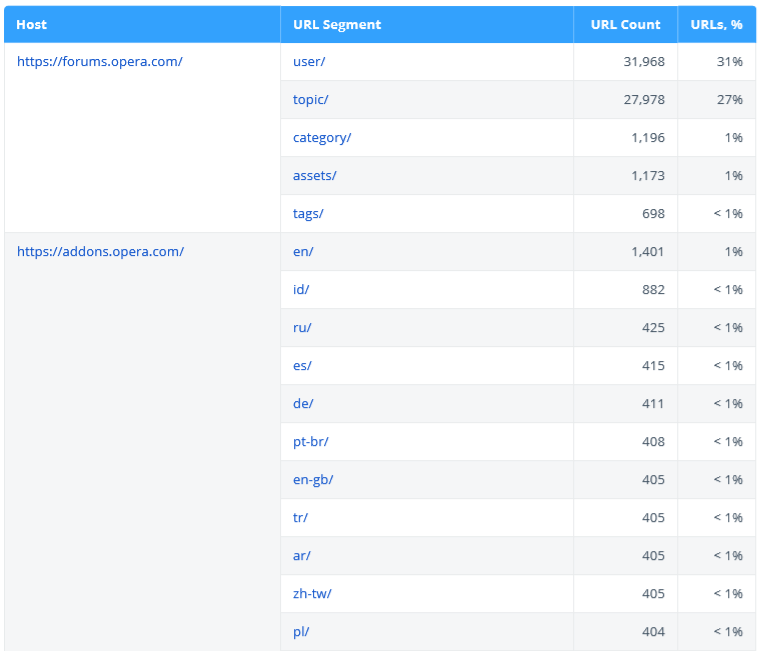 Crawled URLs – documents that have any data in the 'All Results' table. Note that segmentation affects this parameter. 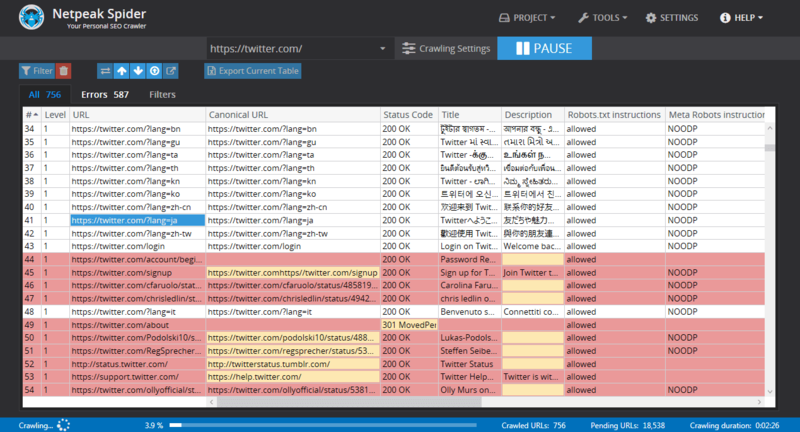 Major issues – errors and warnings only. Internal URLs – documents with the same domain name as the initial URL or the first URL in a list: usually, they are the internal pages of the analyzed website. They are highlighted in blue in all sections of the report. External URLs – documents with the domain name different from the initial URL: you have to enable the 'Crawl external links' option on the 'General' tab of crawling settings to crawl them. They are highlighted in violet in all sections of the report. Non-compliant – HTML documents returning not a 2xx status code or disallowed from crawling and indexing. This section contains parameters and crawling settings that were used when creating this express audit. We have thought about possible situations beforehand that's why we show this data. It allows you to understand how the crawling was set and why some reports are missing. During crawling Netpeak Spider shows detected, undetected, and disabled issues on a website. They can be errors, warnings, and notices, and are indicated by the corresponding color. If you click on any issue on the 'Issues' tab in a sidebar, a detailed description appears in the 'Information' panel at the bottom of the interface. We will surprise you with another useful feature that will allow you to apply enhanced issue descriptions directly to your work. Now you can export a combination from a brief summary of all found issues and their enhanced descriptions. This will allow you to quickly set a technical task and fix them. We also made a 'spring cleaning' among our parameters and issues. Here you'll find out what has changed. 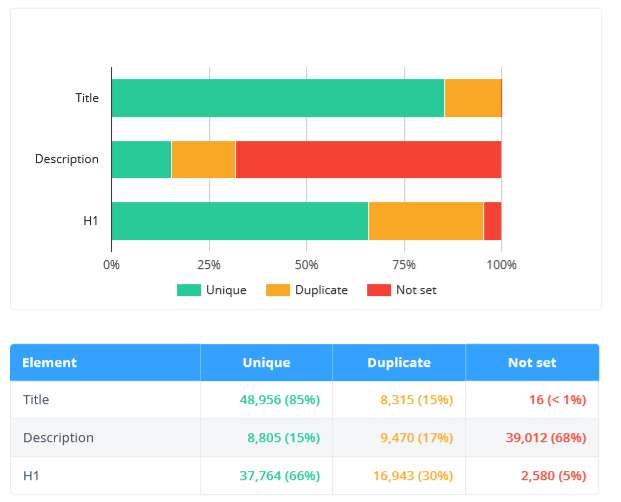 Duplicate Canonicals → Identical Canonical URLs. 'Bad Base Tag Format' issue: previously, the relative URL in this tag was considered an issue. Now the issue is determined if the URL with the wrong format is specified in the href attribute. 'Canonical URL' parameter: now only the absolute URL is taken into account in the canonical instruction, as required by Google. If relative is specified → the value in the table will be (NULL). We improved the sorting of issues by moving the most significant and common ones to the prominent places. We've changed the logic of determining the internal addresses for a URL list. To determine whether a link is external or internal, Netpeak Spider considers the 'Initial URL'. If the domain matches, the link is considered internal, if it doesn't match, then it's external. Previously, when crawling a list of URLs without an initial one, all links were considered external. Now they are compared with each other: if all the hosts of the addresses belong to the same domain, the URL will go to the internal links report; if at least one URL belongs to another domain, all addresses will be considered external. These changes affect results in reports. We've improved the 'Default' parameter template. 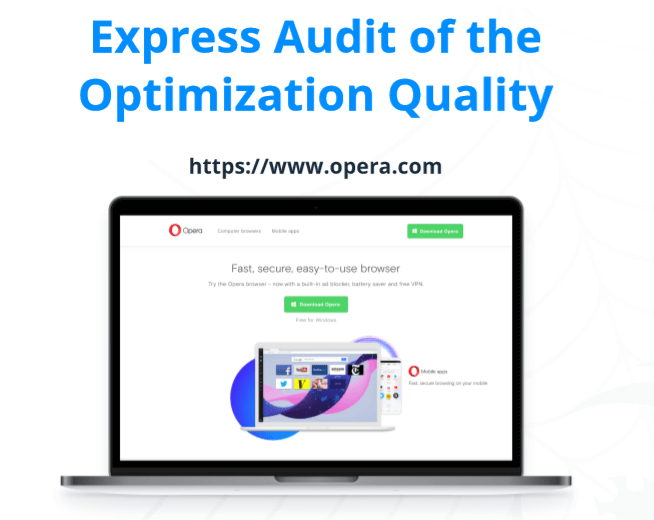 This was necessary for proper use of the new feature exporting express audit of the optimization quality in PDF. The results sorting in the table is saved only for a single session (until the program is restarted). In a new session, the sorting will be standard by the URLs' sequence number. We did it to make users' experience with results more clear and convenient. We've optimized the work with robots.txt. Now, when you start / continue crawling, only one request for each host is sent to robots.txt (previously, if you set many threads several requests could be sent for the same robots.txt). The project's and export files' name is created based on the initial URL of the crawling. Now, when saving a project or report, the host name from the initial URL (if a certain site is crawled) or the first URL in the table (if a custom URL list is checked) will be indicated in the file name. We've improved alerts in the lower right corner: to make it easier to click on it and go to the file location folder, a successful table or report export is now displayed within 60 seconds (it used to be 7 seconds). Alerts about the end of crawling and others will no longer disturb you from other programs. Earlier, when they occurred, Netpeak Spider window became active. Setting 'Allow cookies' is enabled by default on the advanced settings tab. This is one of the frequent reasons why the site is not crawled or is being crawled incorrectly, so we have enabled cookies by default. Remember that this setting does not affect the rendering in browser: when crawling in Chromium is enabled, cookies are always taken into account. We've changed a lot of texts within the program to explain more nuances and tips on how a tool works. If you notice any inaccuracies, please contact our support team. Our company is about to turn three years old. It means that we have been regularly improving Netpeak Spider and Checker for three years now. 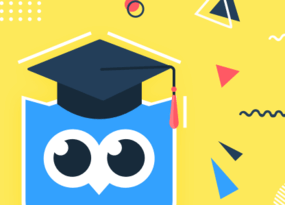 Moreover, we strive not only to advance our programs with the most popular features, but also to release completely unique ones. At the same time, we have never raised the prices for our tools. Monthly license for Netpeak Spider will cost $19. If you have any questions, feel free to ask our Support team in online chat, they will be happy to help you. The current system of prices and discounts on our products is valid until April 23 inclusive. If you decide to stock up on licenses at the old price, now is the right time to do it, because we give you an additional 20% discount with the Netpeak-Spider-3-2 promo code! Take a chance because from April 24 all purchases and license renewals (including the automatic ones) will be at the new prices. Friends, thank you for your attention! We hope that now your work with Netpeak Spider will become even more effective ;) We'd love to know your feedback, so feel free to leave a comment under this post, while we are working on one of the most requested features within Netpeak Checker!